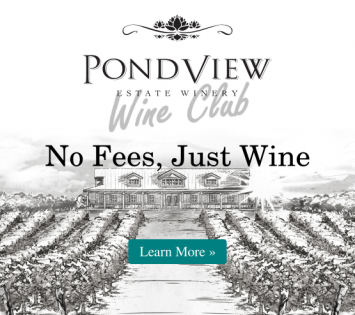 Summer Might be Ending, but the Fun is Just Beginning at PondView! 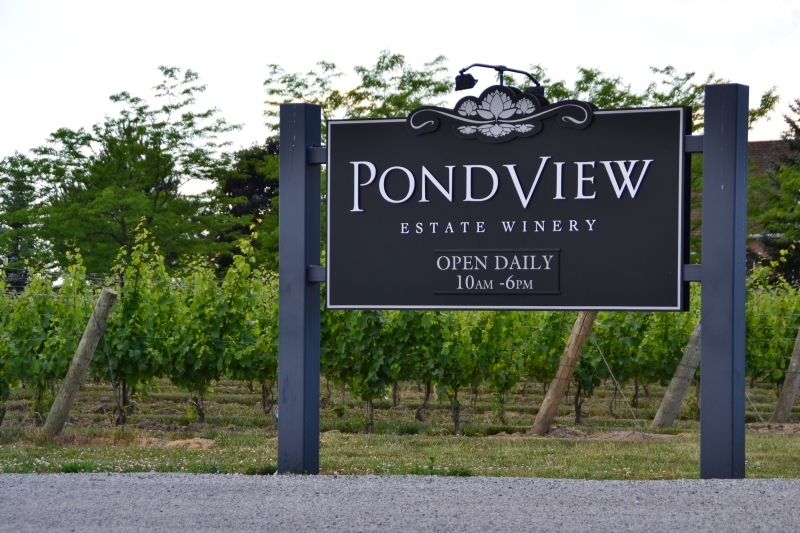 Although it's sad to see the longer days of sunshine coming to an end, our PondView family is getting excited as we have turned into high gear preparing for our 2016 Harvest! There is no better time than fall to experience wine country. The kids are back in school, the weather is beautiful, and the region is buzzing with activity within the town, vineyards, and wineries! 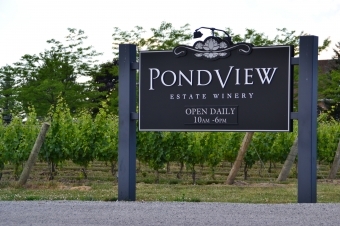 We strive for bigger flavours in our wines at PondView. Our proprietor, Lou Puglisi, is a grape grower first. When you visit in the fall,you will be lucky to catch sight of him in the winery, as he is spending his time in the vineyards bringing in the harvest and making sure we are growing the best quality grapes. During the summer months, our farmers work just as hard in the vineyard as they do in the fall. Throughout the season, they are out in vines trimming back any extra growth and canes that are growing from the primary branch. Leaving just one cane with bunches of grapes allows for energy and nutrients to go into the fruit; although this decreases the quantity of grapes we may harvest, it creates a bigger flavour! We leave the canes that we have clipped off on the ground surrounding the bottoms of the vines, this acts as a natural fertilizer as it returns the nutrients into the soil and back into the vines. This process is called "The Green Harvest." Come the fall, we leave our grapes on longer than most of the other vineyards in this area. We risk leaving our reds on the vines, right until the end of November. Although we will get a smaller yield, the extra weeks of sunshine and growth will give the grapes more time to ripen and flourish - giving us those big, bold, fruit flavours. The grapes are then handpicked and hand sorted, and only the best grapes become our fine wines. This is the part of the year that you will find the most passion in wine country! Our Vineyard Manager, Jake Bartch, and his team are excited to see the quality of grapes they have nurtured throughout the spring, summer and early fall. Our head winemaker, Fred Di Profio, and the assistant winemakers are excited to try new recipes and make new vintages of the same great wines we are known for. This is the time of year that our front end staff is most excited! Stories of our own experiences with our delicious wines really come through this time of year as we welcome guests from near and far. This year, we decided we wanted to invite even more guests to come listen to our Niagara Wine Country stories and create their own. Join us on September 17th, from 12:00pm -7:00pm as we celebrate the 2016 Harvest. Carly Manley and Sandy Vine and the Midnights will be here to entertain us, we will be having a marketplace that will showcase some of Niagara's local artisans, and a variety of delicious food that includes a Pig Roast, Gourmet Grilled Cheese, and other delicious options! Admission is free, but we recommend you pre-order your food and wine package online to skip the line! Click Here to Pre-Order Your Food and Wine Package!